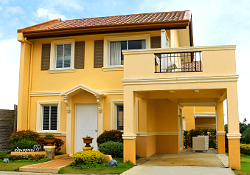 Cara has a minimum lot area of 99 sqm and a house area of 66 sqm. 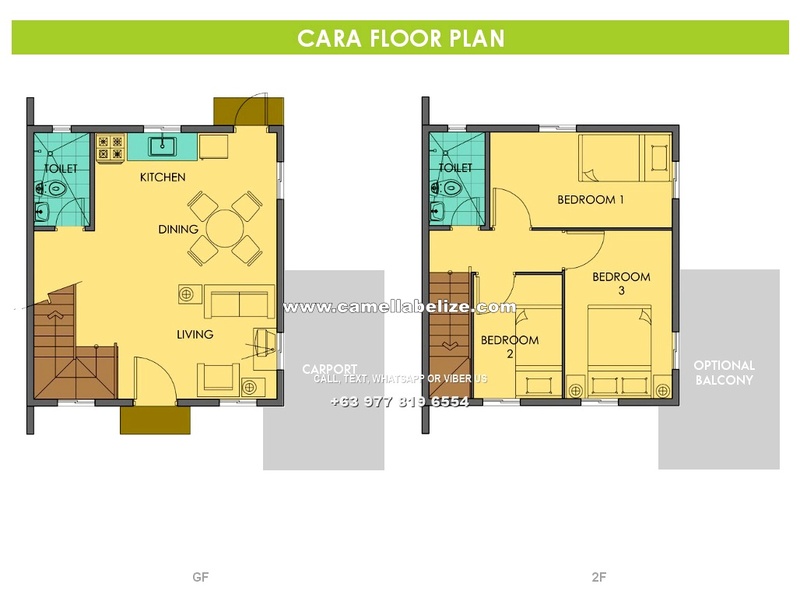 Cara is your practical, yet modern 2-storey house. It’s a single attached house with three bedrooms, two toilets and baths, a living area, dining area, kitchen, a carport, provision for a balcony, and a laundry and service area. At an affordable price, you can own this fully functional house and lot in Camella Dasmarinas! Pay the reservation fee of ₱ 30,000. 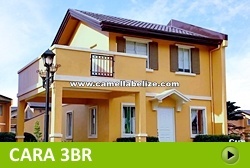 After 30 days, pay the monthly down payment of ₱ 38,588 for 12 months at 0% interest. You can also pay the full amount of the 15% down payment in cash and get up to 8% discount. On the 13th month, you start paying the monthly amortization of ₱ 23,370 under bank financing. Congratulations! For inquiries, sample computation requests and free site viewings, you can contact us at Tel. Nos. +63 977 819-6554 or +63 917 329-1028. You can also use the form on the right if you prefer online inquiries. We constantly check any queries and make sure that we reply as soon as possible. Enjoy the view and protect your car by availing of the balcony add-on for this house model. The well-constructed balcony can serve as the foundation of a new room when you expand in the future. Please call us for more information.